NON-INDIGENOUS PEOPLE ARE on stolen, OCCUPIED land. White supremacy built its wealth on the attempted genocide of Native nations & the enslavement of millions of African people & their descendants. Listen & learn by supporting these vital POCI-based arts & social justice-focused organizations in the Twin Cities & beyond. There is an abundance of dedicated POCI artists & activists working tirelessly in the Twin Cities to bring equity & compassion to their communities. We want to support their efforts, so we'd like to show our solidarity with these amazing organizations by featuring them here. Please visit their websites & educate yourselves about these fearless artists, teachers, activists & healers. We have mad crushes on all of them. Like us, they need your financial support to keep forging ahead, so please find their fundraising pages on GiveMN.org or directly on the web. If you can't contribute with money, please find other ways to support & amplify their missions. Let's keep paying it forward! The MN Prison Writing Workshop extends Minnesota's vibrant literary community to state prisons. For the mutual benefit of prisoners & MPWW members, we offer courses inside the state's correctional facilities. Our courses include fiction writing, essay writing, poetry, spoken word, oral storytelling, children’s literature, fantasy writing, and more. Classes vary in length & depth. Some workshops are 12 weeks long & others meet for one day. Our students are a diverse group of writers ranging from beginners who are writing for the first time to experienced writers who are already publishing. Founded by Shirlee Stone as Mitakuye Oyasin (Dakota phrase for All My Relations) in 1999, All My Relations Arts has more than a decade-long history of producing quality contemporary American Indian fine arts exhibits. First a project of the American Indian Business Development Corporation—later the American Indian Neighborhood Development Corporation, & Great Neighborhoods! Development Corporation, All My Relations Arts presented dozens of exhibits at Ancient Traders Gallery, which closed in 2010. All My Relations Arts exhibits have been installed at Mill City Museum in Minneapolis and The Edge Center in Big Fork, Minnesota as well as at Cornucopia Gallery in Lansboro, Minnesota. 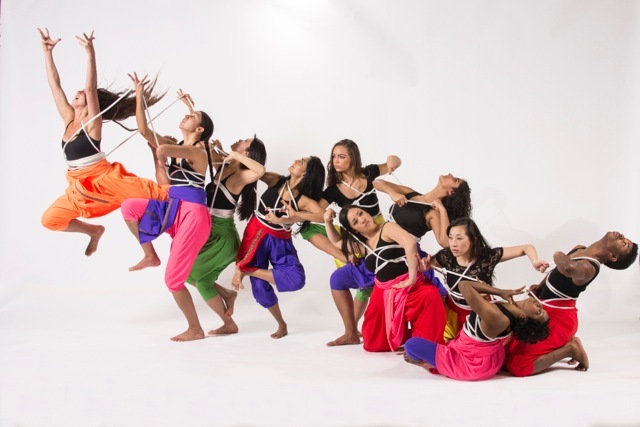 They intersect Contemporary Indian American Dance with a philosophy of social justice to create original dance theater about the extraordinary work & dreams of women around the world, & to inspire audiences through visual and emotional engagement. Inspired by the commitment and passion of women’s movements globally, their work links women’s stories with movement to invoke broader questions about social justice. They premiere one new work annually in the Twin Cities, & commission new music for each new work. They offer touring performances, workshops, & dialogues throughout the year. Our work has been presented in 15 other U.S. cities 11 & other countries. They create original Contemporary Indian American Dance theater at the intersection of artistic excellence & social justice, envisioning an ensemble of dancers whose embodied power and beauty create seismic shifts in the ground on which they dance. Mu produces great performances born of arts, equity, & justice from the heart of the Asian American experience & celebrates & empowers Asian Americans through theater. Mu was first founded in 1992 as Theater Mu, a theater company dedicated to bringing Asian American voices to the stage in the Twin Cities at a time when Asian American theater did not exist in the area and the Asian American community was rarely recognized. Mu Performing Arts remains Minnesota’s only pan-Asian performing arts organization & has grown into one of the largest Asian American performing arts company in the US. Through performance & community outreach, Mu provides an unparalleled resource for Asian American artists, introduces Asian American stories & issues to audiences of all backgrounds, & gives Asian Americans of all ages & ethnicities a place to connect & belong. Teatro del Pueblo is a small, non-profit Latino theater located in St. Paul, MN. Fostered by the Latino community on the West Side, it has grown since its inception in 1992 to serve the St. Paul, Minneapolis metro area and greater Minnesota. Based in the West Side’s Latino community, Teatro del Pueblo promotes Latino culture through the creation and presentation of performing arts. Teatro develops and supports Latino artists, provides educational opportunities for all to experience Latino culture and promotes cross-cultural dialogue. Over the past fifteen years, Teatro del Pueblo has staged over 50 plays, developed collaborative relationships with a variety of organizations, and toured to over 50 schools throughout Minnesota. We are currently the only professional Latino theatre company providing artistic and educational programming in the state of Minnesota, and to some degree the states of Iowa and North and South Dakota. To create a community of Asian American writers to learn about our collective past, to explore our identity in the Asian diaspora, and to support our literary pursuits moving forward. 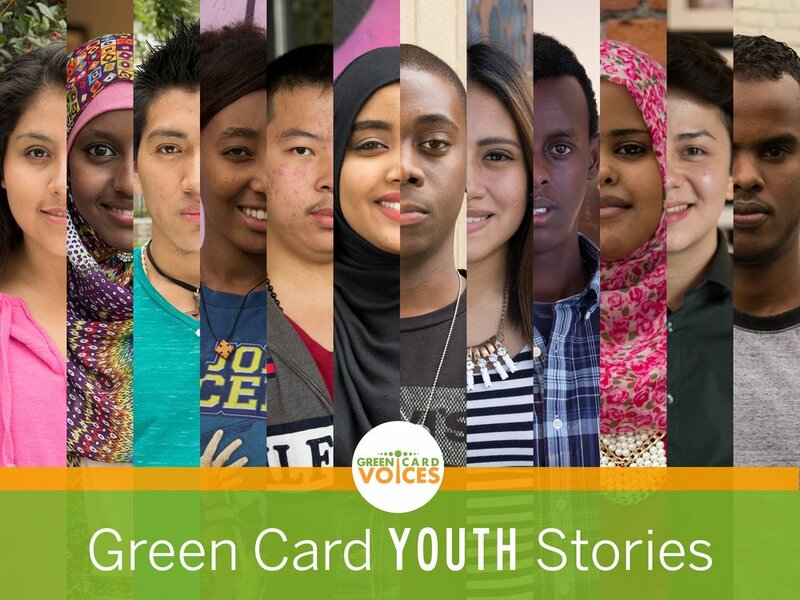 Launched in 2013, Green Card Voices’ mission is to share various stories of our nation’s 40 million immigrants & put a human face to the current immigration debate. Simply, we hope to introduce immigrants to their neighbors. Their focus is not only on capturing individual stories, but also on demonstrating the incredible breadth of the immigrant population. Utilizing web-based video storytelling, they’re traveling the country & listening to those with the courage to share their journey, documenting each story in an authentic & unbiased way. The chronicles of those whose stories we capture are both awe-inspiring & thought provoking, portraying the diversity of the immigrant experience in the United States. Immigrants have played a vital role at each turn in our nation’s history & they continue to do so today. By sharing these stories, we can instill a sense of pride in our nation’s immigrant population & thank them for all of their contributions. THE UNDERGROUND MEDIA COLLECTIVE IS RE-IMAGINING PUBLIC MEDIA. We are a multimedia platform for storytelling and high-quality content. We are owned and shaped by community members through a cooperative model. They were established to ensure the public narrative better reflects and serves marginalized communities. We amplify community voices. We provide access to comprehensive, nuanced information about critical issues. We produce and distribute content, track and train other media, and support and share content from community members – with fair compensation and protection of their intellectual and artistic rights. We Are All Criminals is a non-profit organization dedicated to challenging society’s perceptions of what it means to be “criminal.” Through shared stories of those who committed or were accused of committing crimes, those who got away with them, and those who have been directly affected by the criminal justice system, they seek to erase the barriers that separate us. We Are All Criminals also examines the reach of a criminal record, by sharing stories of people with loved ones who have been in the system; and WAAC shifts the focus from a deficit-based discussion to a resource-rich celebration by sharing stories of people who carry criminal records, but who are much more than their mugshot. WAAC challenges society’s perception of what it means to be a criminal. It is also a commentary on the disparate impact of our nation’s policies, policing, and prosecution: many of the participants benefited from belonging to a class and race that is not overrepresented in the criminal justice system. Permanent and public criminal records perpetuate inequities, precluding millions from countless opportunities to move on and move up. WAAC calls out the injustice in those policies. They are a collective of people of color & indigenous, of queer & trans practitioners & healers. They believe that their purpose is to heal & be healed, to open space for the healing in justice & the justice in healing. Their intention is to bring forward marginalized & isolated healing practices, wisdoms, healers & practitioners. We are committed to doing local work, feeling a commitment to the land we practice on. They know that trauma & systems of supremacy depend on disconnection, focusing their work on connection & reconnection of the self with the self, the self with community & the self with land & spirit. Space is used for individual healing sessions, for group & collective healing spaces & for all kinds of experiential learning & celebration. SPIRAL [Supporting People In Reproduction, Abortion & Loss] Collective provides free, compassionate, non-judgmental support to all pregnancy outcomes. We are committed to eliminating barriers to abortion access with the intention of honoring bodily autonomy & collective liberation. We accomplish this by providing practical abortion support & community-based education. To promote reproductive justice, we center the experiences of marginalized communities in our leadership and our programming. For us, reproductive justice means all people have the means necessary to access the information, resources, & emotional, physical, social, & political support they need, to be who they are and create & sustain the types of families & communities they desire. Mizna is a Twin Cities non-profit arts organization that promotes contemporary expressions of Arab American culture. They publish the literary journal Mizna: Prose, Poetry and Art Exploring Arab America, produce the Twin Cities Arab Film Festival, and offer varied other readings, performances, art projects, & community events involving an exceptionally talented and diverse range of local, national, and international Arab American artists. Juxtaposition Arts envisions the youth of North Minneapolis entering the creative workforce as dynamic innovators and problem solvers with the confidence, skills and connections they need to accomplish their educational and professional goals, and to contribute to the revitalization of the communities where they live and work. Juxtaposition Arts develops community by engaging and employing young urban artists in hands-on education initiatives that create pathways to self-sufficiency while actualizing creative power. We combine art & design education and youth empowerment with a social-enterprise business model. Students begin with Visual Art Literacy Training (VALT) and then have opportunities to be employed while learning and teaching professional design, production and marketing skills in one of five social-enterprise studios that produce high-quality design products and services for sale to local and national customers. We believe the integrative problem-solving abilities learned through the hands on creative process of moving from idea, to production, to market are exactly the skills young people need to succeed in school, in work, and in life. Public Functionary (PF) is an art exhibition & social space in Northeast Minneapolis (opened in 2012). Their approach challenges past paradigms of gallery culture. Public Functionary invites a broader audience reflective of the creative diversity of the Twin Cities to feel welcome, engaged & connected. PF works toward a new expression of access & community in a modern context. In pursuit of this goal, PF focuses on creative risk taking, authentic audience engagement, collaborative power & presenting art experiences in an inclusive, immersive context. PF’s energy is not simply based on what hangs on the walls, but the people who activate & transform the space. On top of producing museum-quality exhibits, they continually open our doors to a highly diverse cross-section of both emerging & established creative producers. Penumbra Theatre creates professional productions that are artistically excellent, thought provoking, and relevant and illuminates the human condition through the prism of the African American experience. Founded in 1976 by Artistic Director Lou Bellamy to create a forum for African-American voices in the Twin Cities’ well-respected theater community. Through its commitment to provide realistic, inspirational works that redefine the consciousness of its audience, the Penumbra quickly garnered praise and a loyal following. 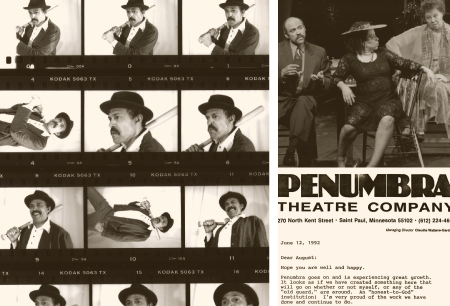 Today, Penumbra Theatre Company is Minnesota’s only professional African American theatre, and is one of only three professional African American theaters in the nation to offer a full season of performances. Under Bellamy’s quarter century of continuous leadership, Penumbra has stayed on the cutting edge of the national theatre scene and continues to present groundbreaking productions. As Penumbra has grown, so has our impact on the community. In addition to performing before 40,000 people of all backgrounds every year, our Educational and Outreach activities impact more than 5,000 students each year. We employ more actors, choreographers, dancers, directors, and administrators of color than all other theatres in Minnesota combined. Marcie Rendon, citizen of the White Earth Nation. With four published plays she is the creative mind behind Raving Native Theater, which produced Rendon’s play Bring the Children Home… at 4 venues in 2015-16. Rendon’s debut novel, Murder on the Red River (Cinco Puntos Press) is currently available. Two nonfiction children’s books are Pow Wow Summer (MN Historical Press) and Farmer’s Market: Families Working Together (CarolRhoda). She is a recipient of the Loft’s 2017 Spoken Word Immersion Fellowship with poet Diego Vazquez. Additionally, her poem Wiigwaasabak was awarded a place in the St. Paul Almanac’s Impressions Project Summer 2017. Raving Native Productions operates without non-profit, or profit for that matter, status. Pangea Theatre generously offers to serve at fiscal agent at times. Founded in 2014 by award-winning women artists Naomi Ko, May Lee-Yang & Saymoukda Vongsay, Funny Asian Women Kollective (FAWK) exists to combat the invisibility & dehumanization of Asian Pacific Islander American women (APIA). As APIA women, we are often discouraged to be ourselves, to recognize our value & are denied opportunities to realize our potential. We live in a bind & are often denied our humanity. We believe in using performance art, comedy & storytelling to talk about controversial issues (ex: race, patriarchy, white supremacy, sexual health) as humor & the arts allows us to navigate our discomforts. Voices for Racial Justice is committed to caring for the soil of racial justice organizing. This metaphor came to us from our community partner and artist organizer Ricardo Levins Morales, who has drawn from an ecological perspective the importance of tending to the ecosystem of organizing for this work to be successful and sustainable over time. This framework supports our strategic vision: that indigenous and people of color communities can lead – in healing, creative, and sustainable ways – in transforming the conditions that impact our lives. Within a context of healthy soil for racial justice organizing, we know that many seeds can thrive. Board Repair mission is to create a more effective nonprofit sector by increasing participation of people of color on boards in the Twin Cities. They are a network of people of color supporting people of color on nonprofit boards & committees in the Twin Cities. We achieve this by collaborating with other organizations & efforts to host gatherings & trainings. Our focus is connecting individuals of color to nonprofits with board and committee openings, & supporting them to be effective. Their goals include: 1. Increase the diversity of nonprofit boards to add perspectives that better reflect the demographics of the Twin Cities; 2. Mentor people of color to have effective & meaningful nonprofit board experiences; 3. Create a network of people of color who collectively support one another in leadership roles; 4. Support individuals & organizations working on improving organizational diversity, inclusivity & equitable governance. The mission of Dream of Wild Health is to restore health and well-being in the Native community by recovering knowledge of & access to healthy Indigenous foods, medicines & lifeways. The work at Dream of Wild Health is guided by these values: 1. Value the personal character traits of honesty, integrity, generosity, humility, courage & fortitude; 2. Value & respect individual & group spiritual beliefs that our families, stakeholders & constituents may hold; 3. Value the belief, practice of kinship & reciprocity in our relationships with all people & with the natural world; 4. Value the practice of respect in all our dealings & relationships with one another.